The monitoring and controlling of environmental pollutions are very important in biological and industrial processes, and a great interest is growing with the development of suitable gas–sensitive materials and hazardous chemical removal devices. In this work, the highly parameterized, empirical exchange–correlation functional M06–2X were employed to investigate the electronic sensitivity of perfect (PS) and Stone−Wales defective (SW) BNNTs toward NO molecule. 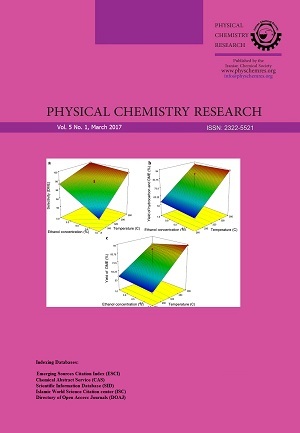 A detailed analysis of the structural and electronic properties, reactivity and electron density of the states of various NO–BNNT complexes was performed. Our results reveal that the NO adsorption on the outer and inner surface sites of both PS and SW nanotubes is energetically favorable and unfavorable, respectively. The electronic property analysis indicates that the formation of Stone−Wales defect reduces the energy gap of BNNT and increases its electrical conductivity. In addition, adsorption of NO on the both PS− and SW−BNNTs reduces the energy gap of the nanotubes and increases their electrical conductance, which could serve as a signal for gas sensor. In addition, adsorption of NO radical on both BNNTs decreased the work function and so increases the field electron emission from the BNNT surfaces. The present results can provide useful guidance to develop modified BNNTs as a NO sensor.